Get ready for an amazing show in the night sky, because the Lyrids meteor show is coming to town for a limited time. It is time for the annual Lyrid meteor shower, and if you have not seen this spectacular light show in the heavens yet, you are in for a treat. The meteor shower is named after the Lyra constellation and is expected to start on Monday, April 16, lasting for about 10 days, so you should have plenty of chances to see it. 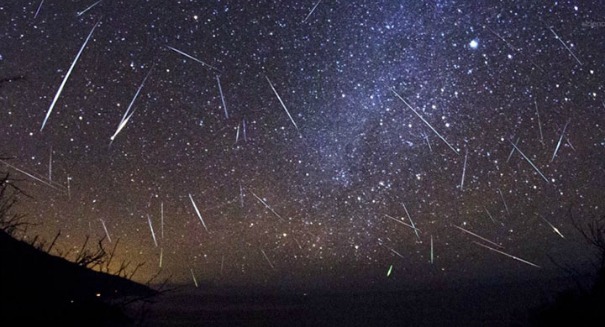 The very best time to watch this meteor shower will be next weekend on April 22 when it is expected to hit its peak. You can best witness the Lyrids in the early hours of Sunday morning as long as there are not clouds obscuring your view, with the hours before the dawn being the very best time. Just make sure you are nowhere near the city where artificial light dims the view. The Lyrids fall at quite an incredible rate of 10 to 20 per hour, and at its peak it can reach 100 meteors or more, or close to two meteors per minute. And more than just the amount of meteors, the Lyrids produce spectacular ones that are bright and fast. So set your alarms early on April 22 and get ready for a show.